The NSS paper "Much Ado about Nothing? 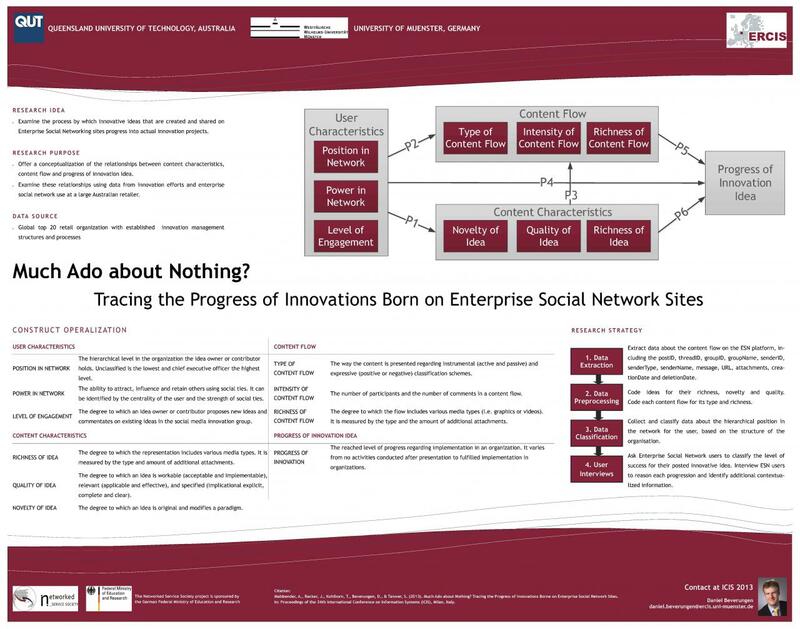 Tracing the Progress of Innovations Borne on Enterprise Social Network Sites" has been presented at the 34th International Conference on Information Systems (ICIS) in Milan, Italy. ICIS is the Information System's leading annual conference. With a record attendance of 1537 registered researchers, the joined work of our project team was presented to a broad audience of researchers and experts from all over the world. The paper has been presented in the poster session on December 16th 2013.